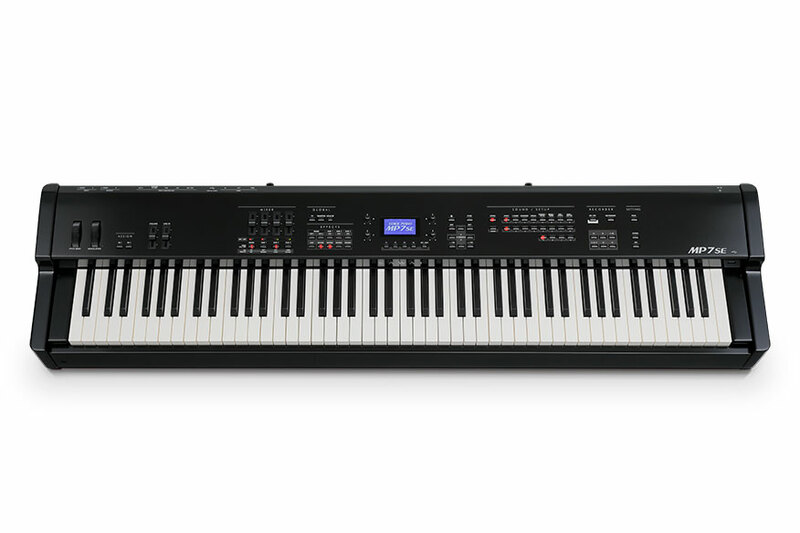 The ES110 is an ideal digital piano for the budding musician. So compact it can be stored under the bed if need be. Comes with a music rack, power pack, as well as a sustain pedal. Only weighs around 12kg. One of the best quality of touch / weight ratios in a weighted keyboard available today! Metronome with 100 drum rhythms. Dual Mode & Split Mode. 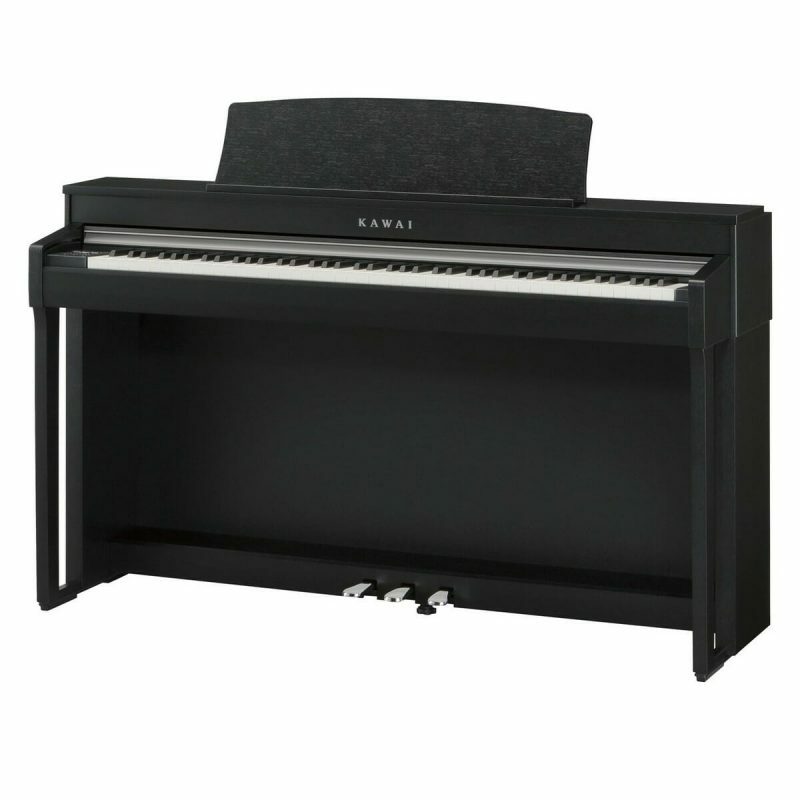 The Kawai KDP110 is one of the best sellers in the Kawai Digital Piano Range. Try it and you will find out why. 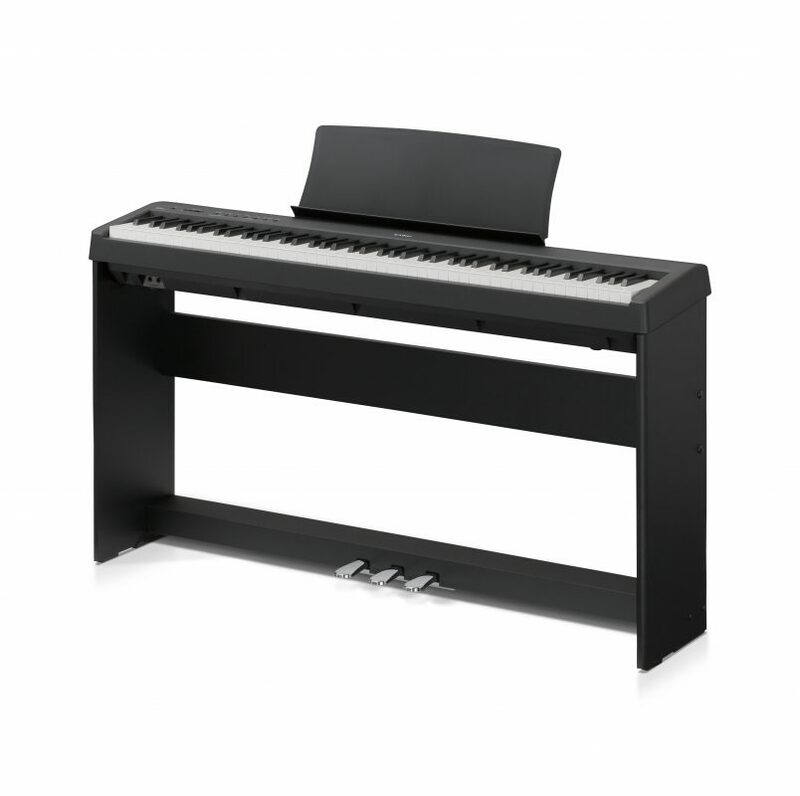 The Kawai KDP110 digital piano’s Advanced Hammer Action IV-F (AHA IV-F) has been developed to represent the distinctive touch of an acoustic grand piano. Its spring less technology and sturdy construction delivers consistent upward and downward motion for a smooth, natural and highly authentic piano playing experience. Just as acoustic pianos utilise heavier bass hammers and lighter treble hammers, the AHA IV-F keyboard action also employs different hammer weights, appropriately graded for each playing range. Such realistic details provide greater stability during fortissimo passages, while preserving the delicate pianissimo control, to satisfy the demands of even the most discerning pianist. 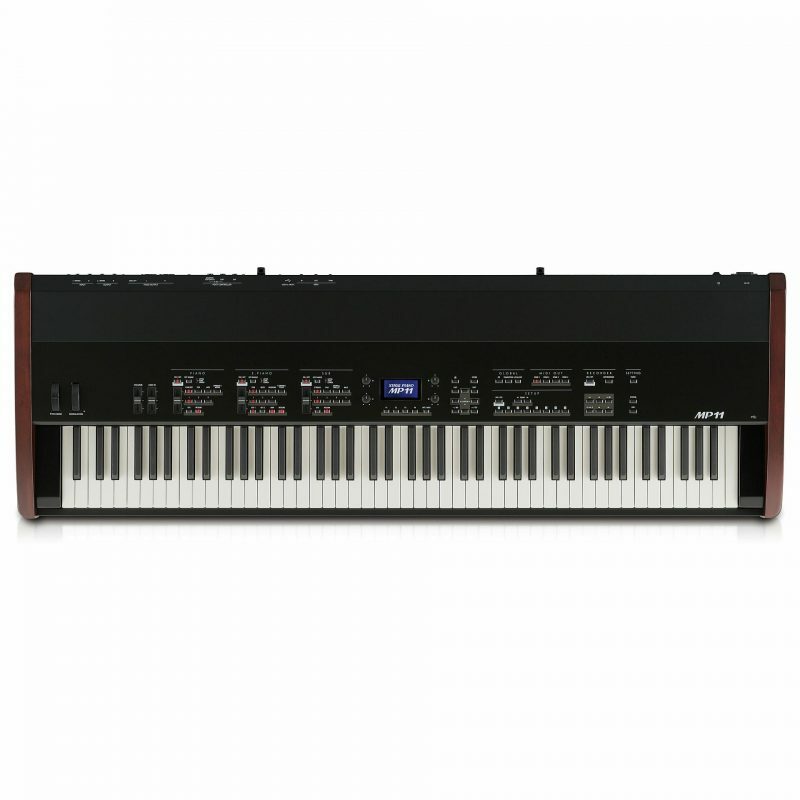 With Responsive Hammer III Keyboard Action, Ivory touch key surfaces and triple sensor key detection the Kawai CN27 digital piano is the best quality digital piano in it’s price range. 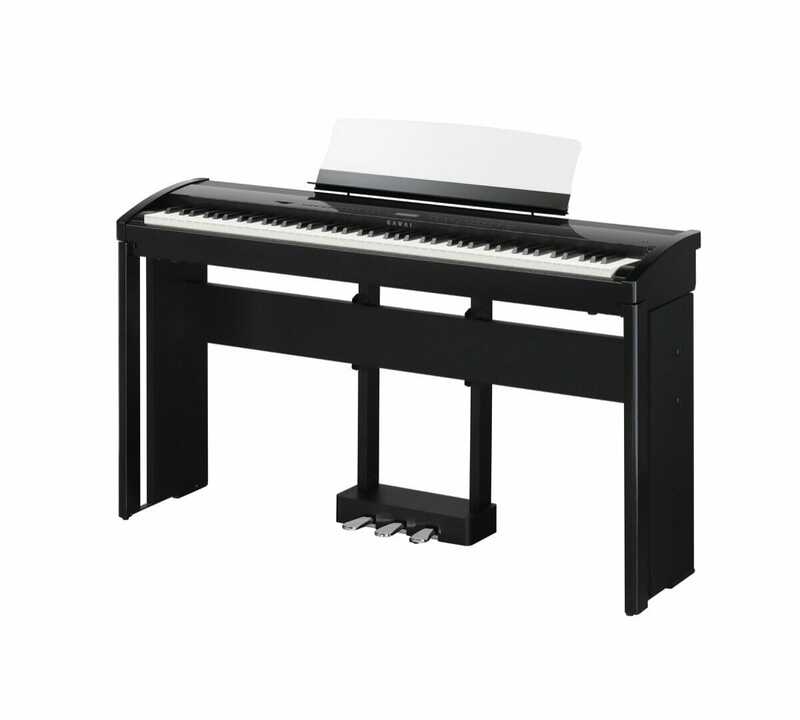 The CN27 has a 3 song recorder, adjustable metronome, split mode, dual mode all help to ensure this digital piano will provide many years of musical enjoyment. The Kawai CN37 features an impressive 4-way speaker system that is unrivalled in its price range. The speaker system is designed to reproduce the harmonic spectrum of an acoustic piano. Lower range frequencies are delivered throught the underside of the Kawai CN37, while mid and high frequencies are projected outward via top-mounted speakers, closely mirroring the sound projection of a grand piano. The Kawai CN37 has a ‘Virtual Technician’ feature that simulates the voicing and regulating an experianced piano technician can perform on an acoustic piano to bring out the best in each individual instrument. This feature will allow performers to shape various aspects of the piano’s tonal character and playability to suit their personal preferences. These can then be stored on the Kawai CN37’s setup memory for immediate recall. Combining Kawai’s industry-leading Grand Feel II wooden-key keyboard action, stunning SK-EX Rendering piano sound engine with multi-channel sampling and speaker technologies powered by Onkyo, and an authentic wooden soundboard, the CA-98 delivers one of the finest grand piano experiences available in a digital instrument. Combining Kawai’s industry-leading Grand Feel II wooden-key keyboard action, stunning SK-EX Rendering piano sound engine with multi-channel sampling and speaker technologies powered by Onkyo, and a powerful 6-speaker output system, the CA-78 delivers grand piano playing authenticity at a competitive price. SOME OF THE NEW FEATURES ON THE KAWAI ES8! 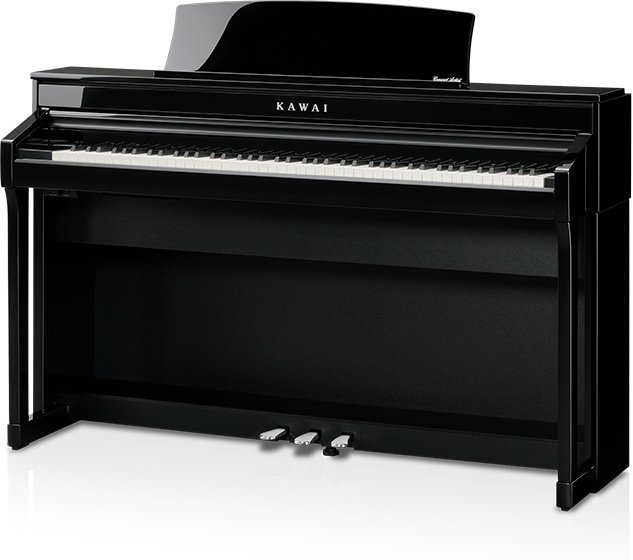 The Kawai ES8 has just been released and is in stock and available now. Has some awesome improvements on the ES7 which has been one of the most popular and talked about Kawai digitals since it release back in 2012. The class-leading Responsive Hammer II keyboard action on the Kawai MP7 recreates the touch of an acoustic grand, with realistic movement providing a smooth, natural playing experience. With Triple sensor key detection, ivory-like surfaces and authentic let-off simulation the MP7 will perform just like the real thing. 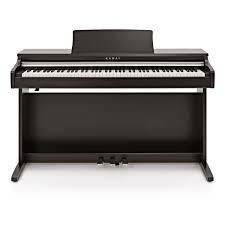 The Kawai MP7 is by far the best stage piano available in this price bracket. The zones are easy to access and switch on with a button at the low end of the slider, close to the performers left hand (why some keyboards have them above the sliders I’ll never know!) and are easy to edit and user friendly. The MP7 can be customized to suit the individual players requirements with ease and there is heaps of room to save settings with the 256, easy to access user set ups available. Individual tones can be edited and stored and you can even customize the switch on settings, so piano will be exactly how you want it every time you power up! There is too many features to list here, so please email or call us for more on this awesome digital piano. The most authentic keyboard with the most realistic sound and the best control. The Kawai MP11 stage piano is designed for music professionals who do not accept compromise.